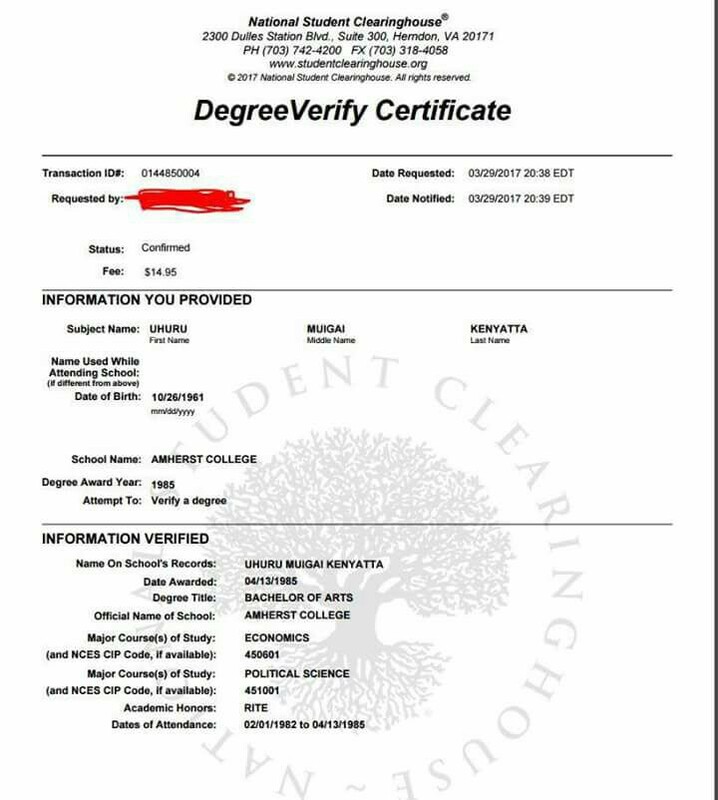 Kenyans on social media have been treated to a fake document doing rounds online which claims that Uhuru Kenyatta scored a D- in KCSE. The same certificate comes days after claims that Mombasa Governor, Hassan Joho scored a D- in his exams emerged online. 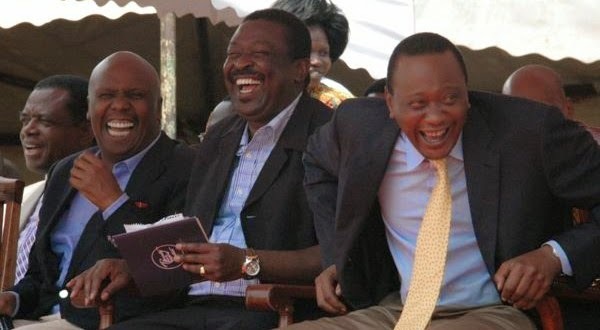 A Kenya Certificate of Secondary Education that is making rounds online seems to suggest that Uhuru Kenyatta scored a D- in KCSE. 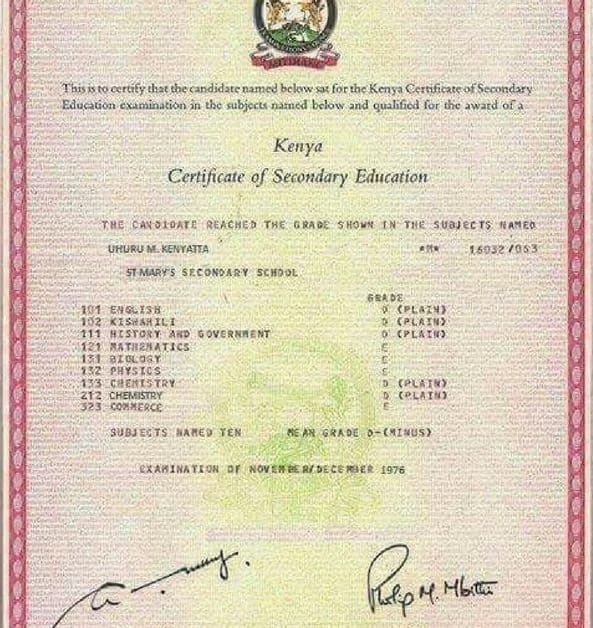 The certificate has it that Uhuru sat his KCSE in 1976, well that can only exist in someones imagination. It also suggests that the head of state did 9 subjects, in 1976? Well, its election time and propaganda is at its best. The first KCSE exam was done in 1989 at the same time as the last Kenya Advanced Certificate of Education (KACE), which it replaced as the entrance requirement for Kenyan universities. In any case, in 1989 when KCSE was introduced in Kenya, Uhuru Kenyatta was getting married, not sitting for an exam. In fact there were 3 subject in 1976 and not 9 as the certificate seems to suggest. Here is his economics degree: Verified!